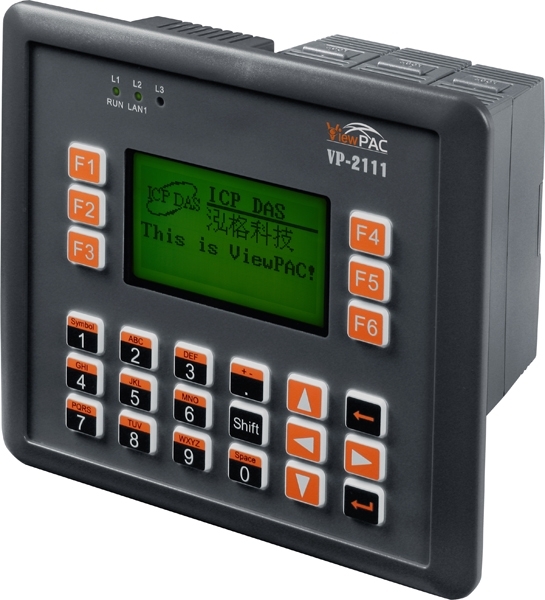 ViewPAC combines iPAC, graphic display and keypad in one unit. 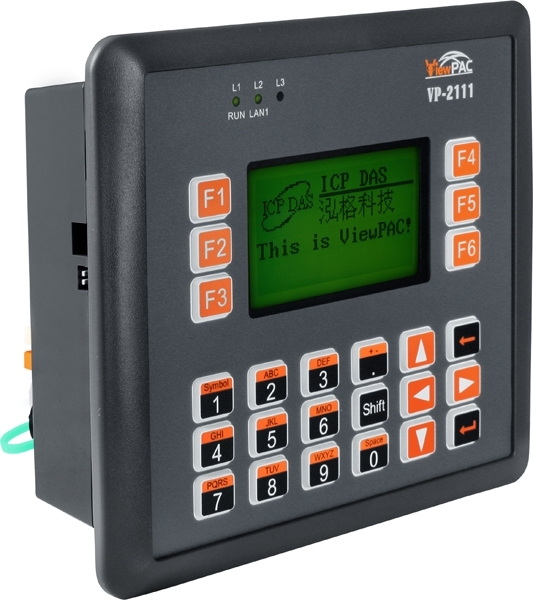 It equips an 80186 CPU (16-bit and 80MHz) running a MiniOS7 operating system, several communication interface (Ethernet, RS-232/485), 3 slots to expand I/O modules, STN LCD and a rubber keypad. Its operating system, MiniOS7, can boot up in a very short time (0.4~0.8 seconds). It has a built-in hardware diagnostic function, and supports the full range of functions required to access all high profile I-8K and I-87K series I/O modules, such as DI, DO, DIO, AI, AO, Counter/Frequency, motion control modules, etc. Compared with traditional HMI + PLC solutions, ViewPAC reduces overall system cost, space and gives you all the best features of HMIs and PLCs.